Jesus called his disciples to be his witnesses (Acts 1:8). We are not eyewitnesses to his bodily resurrection, but we are those who have experienced God’s love, forgiveness and work of the Holy Spirit in our lives. So, what does it mean for us, his disciples today, to be his witnesses in our communities? Sadly, in many parts of Australia today, the church has a bad name. Some of it deserved, some of it not. Nevertheless, there is a dissonance between Jesus and his mission, and the community that is meant to represent him. Jesus was a man of unconditional love who had an amazing ability to connect with and accept people of all types and persuasions. He loved people with such a sense of abandon that it killed him. This is something the religious people in Jesus’ day simply could not do. In fact, Jesus reserved his severest criticisms not for the sinners, but for the religious authorities who did not care, love and treat sinners as God would want. Is it the same today? Are we, like the religious leaders of Jesus’ day, so wedded to pragmatism, to organisation, to order and control that we are inward looking and unable to love as Jesus did? How do we choose this kind of love everyday rather than practicing religion? 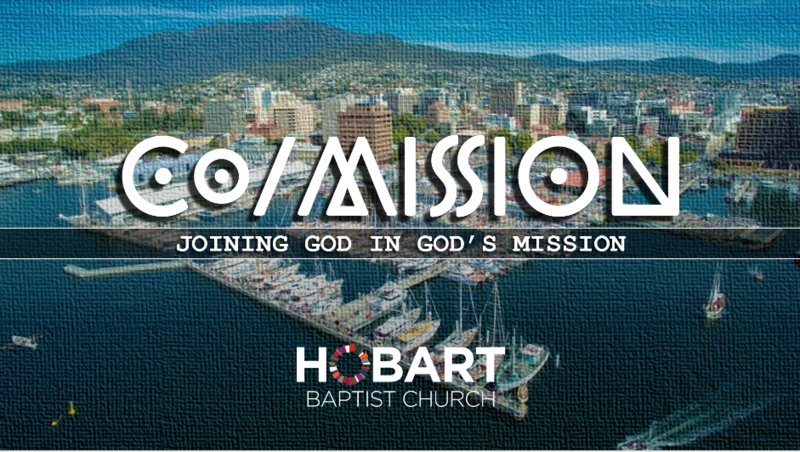 In this series we will look at the mission of Jesus and explore what it means to follow Jesus in his mission, and discover what it means to be church in Hobart today.